Do you have what it takes to become a first rank Toro? Defeat the Matadors in the ‘Wild Toro’ bonus round and become the king of the ring! The first rank bull at the end of the promotion will embark on a loco city break to Barcelona. Plus a further 25 bulls will leave the ring £3,000 in Cash Prizes richer! Olé, olé! Win a trip for two to Barcelona and experience the cosmopolitan capital of Spain’s Catalonia region for yourself! The prize includes return flights for two from Europe to Barcelona, 4* Star accommodation and a ‘Barcelona Pass’ to explore the city’s vibrant culture and breath-taking sights – total prize value £2,000. 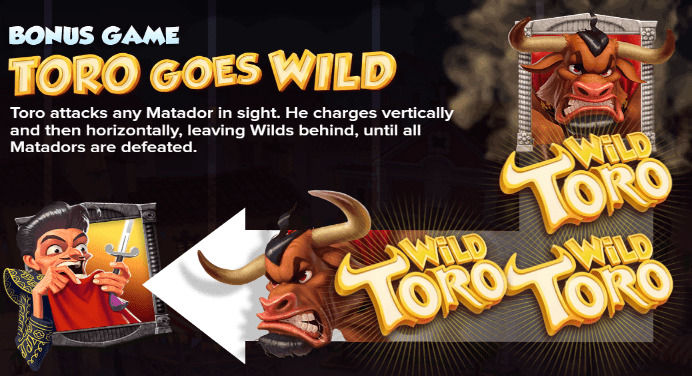 Unleash the ‘Toro Goes Wild’ bonus round in our ‘Wild Toro’ slot and defeat as many matadors as possible to secure a top leaderboard position. Ready to unleash your inner Toro? Visit Mr Green’s promotions page for more information on more muy loco offers.